Q: Why do I see a “Brute force protection” authorisation login window when I login while overseas? In some international locations after you attempt to log in with your Orienteering NZ website username and password you may see a one-off additional “Brute force protection” authorisation login window. In this window, as prompted, enter the username ‘u’ and the password indicated. This website will then work as expected. The additional login step is enforced by our hosting provider and intended to reduce the impact of automated login attempts from a variety of international locations. Wide screen devices: the orange “Register” button is in the strip at the very top of the page. The “Register” button in also available in the right-hand-column “Login / Register” panel. Small screen devices: Click the orange “Login” button at the top of the screen. The display will change to show a login panel that includes an orange “Register” button. Alternatively, scroll down to the lower “Login / Register” block which includes the “Register” button. The Registration Form will display. The username entered will be the username you type when you login. It will also be visible in the web address (URL) for membership functions on the site. Please note non-alphanumeric characters may not be used in the username. The Name entered will be the name displayed on the site. This name will display when you post something. The Email Address is used for password reset and any notifications you select on site. Password: Please use a strong password to avoid others using your account. You are responsible for posts and uploads by your account. “Complete Sign Up” button submits the form. Please click this button once and wait until the process completes. On success, an email with an activation link is sent to the email address you registered and the following message displays:”Create an Account Sign Up Complete! You have successfully created your account! To begin using this site you will need to activate your account via the email we have just sent to your address.” You may need to check your spam folder for the email. 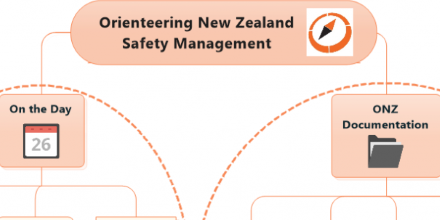 The email will be from “Orienteering New Zealand <wordpress@orienteering.org.nz>” with the subject: “[Orienteering New Zealand] Activate Your Account”. In some email systems the activation link may be split over two lines. Please ensure if copying the link the full link is copied. If clicking the link in text only (non-html) email systems, please copy the full link into your browser. If activation is successful and the link is accidentally clicked a second time, a message will display. You can now login with your username and password. Q: I am having trouble registering. How can I register? To register, make sure all users are currently logged out on the orienteering.org.nz site by checking the top left hand corner of the page and then visit https://www.orienteering.org.nz/register or click on the register button. For username: spaces are not permitted acceptable. [issues experienced with spaces in username have been resolved]. Wide screen devices: When logged out, the “Forgot username or password?” link is located at the very top of the page. Small screen devices: When logged out, click the orange “Login” button at the top of the page. The display will change to show a login panel that includes the “Forgot username or password?” link. [The following issue is presumed to be fixed: Please let us know if you experience any similar problems.] We are aware some people have experienced problems with the registration form looping back to itself instead of proceeding to the next step. The user fills in all fields, clicks on “Complete Sign Up” button, and the form is displayed again, usually with the values entered still shown and the passwords removed. For some, immediately retrying a second time works, for others it doesn’t. Please check all fields are filled and there are no errors reported in red beside the fields. Current Solution: We have noted the problem. 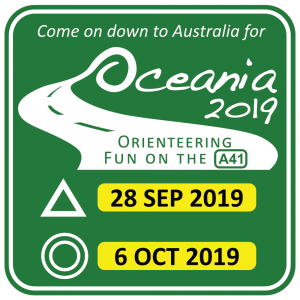 If this occurs please email webmaster@orienteering.org.nz with your preferred username, display name, and email address and we will register you and send you a follow up email. Q: I am having trouble with the activation link, or I get a page asking for a valid activation key. If activation has already been successful, clicking on the link a second time will display a notice indicating this has occurred. Please check all other users are logged out of the site on your device or browser before completing these steps. Try copy and pasting the full activation link into your web browser to go to the activation page. If successful, please try logging in. If not successful, please try using the “Forgot username or password?” to confirm the username associated with your email address. If you still cannot log in please email webmaster@orienteering.org.nz with your username and email address and what steps you have tried. Q: I haven’t received an activation link and I can’t log in. Check your email inbox and spam folders for an email from “Orienteering New Zealand <wordpress@orienteering.org.nz>” with the subject: “[Orienteering New Zealand] Activate Your Account”. You may like to add this address to your safe email list. Please try using the “Forgot username or password?” to confirm the username associated with your email address. If that does not work please try registering again. If that fails, please email webmaster@orienteering.org.nz and for your account to be deleted and request a new activation link.